Casual marijuana use might change your brain, but is that a big deal? Well this is a bummer, man. A recent study in the Journal of Neuroscience looked at the effects of casual marijuana use on the brain, and the results were not music to stoners’ ears (this is, though). Researchers from Northwestern, Harvard and Massachusetts General Hospital used structural MRI to examine differences in the density, volume, and shape of different parts of the brains of two groups of participants: a group composed of young adults who smoked marijuana casually (but were not dependent, and didn’t use other drugs), and a group of non-smokers. The two groups were matched for gender, age, education and personality, and all participants were tested to make sure they were telling the truth about their drug use. 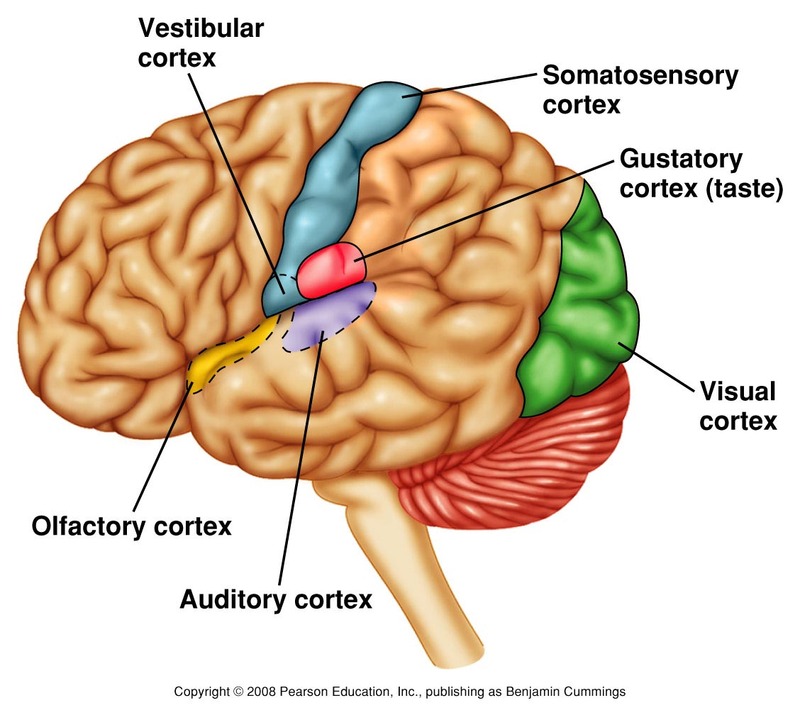 Two specific parts of the brain, the nucleus accumbens (NA) and the amygdala, were of particular interest to the researchers. The amygdala has a lot of receptors that are sensitive to THC, the active ingredient in marijuana that makes people feel high. The NA doesn’t have THC receptors, but still appears to be sensitive to marijuana, due to tight connections with the amygdala. The researchers measured the participants’ brains in three different ways: they looked at the sizes, densities and shapes of different anatomical structures. 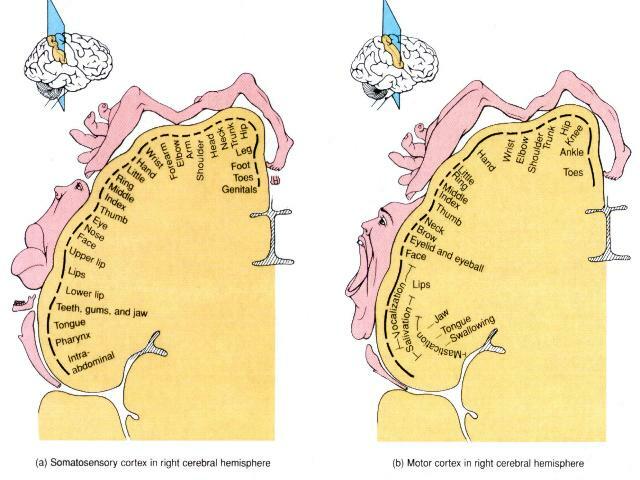 As it turned out, the smokers had bigger, denser and more weirdly shaped NAs than the control group, with the biggest differences in the left hemisphere. The casual smokers also had denser, more weirdly shaped amygdalas. According to the researchers, these results were clear evidence that even casual marijuana use can lead to changes in the brain. Now, a curious reader might wonder, “But why is it bad if occasionally smoking marijuana makes parts of my brain change size and shape? Isn’t bigger supposed to be better?” These are reasonable things to wonder. In some parts of the brain, bigger can definitely be better. For instance, the parts of your brain that are primarily responsible for controlling your fingers are bigger than the parts of your brain responsible for controlling your toes, and it just so happens that we’re better at making precise movements with our fingers than with our toes. This is not a coincidence. Similarly, the parts of our brain that are important for processing what we see are larger than the parts used for processing taste and smell, which is why we’re generally much more sensitive to subtle differences in how something looks than we are to subtle differences in flavor or aroma. But in other parts of the brain, bigger is definitely not better. In addition to THC, the NA and amygdala are also sensitive to dopamine, which plays a major role in reward and reinforcing behaviors. There is evidence that changes in these areas, including increases in density and size, can reflect formation of habits and addictions. It probably isn’t right to say that “bigger NAs and amygdalas mean stronger habits and addictions,” but we are accumulating evidence suggesting that there may be some kind of relationship in that direction. This study is another piece of evidence supporting that hypothesis. So, do these results provide conclusive evidence that the people in Colorado and Washington are all, um, on dope, for deciding to legalize this brain-changing stuff? I don’t really think so. First, as the authors mention at the end of the article, there’s no evidence here that smoking marijuana actually causes brain changes. The evidence in the study could just as likely be interpreted as showing that people who have brains with denser/bigger/more weirdly shaped NAs and amygdalas are more likely to smoke marijuana, rather than the other way around. A longitudinal study, where smokers and non-smokers get their brains scanned several times, would be necessary to assess whether smoking actually caused the brain to change. Second, individual differences in smoking habits weren’t properly considered. Though the researchers queried participants on how many joints or equivalent they consumed per smoking session, per day, and per week, the fact is that joints (or whatever your unit of consumption may be) can vary dramatically from person to person, such that a joint from person A might contain .5 grams of marijuana, whereas a joint from person B might contain 1 gram. Or, a person may be smoking with several friends, effectively reducing the amount smoked per dose, or smoking higher or lower quality marijuana. At the very least, future studies should probably give participants a scale or some other objective way to quantify how much they’re actually smoking; ideally, they’d make sure participants smoked the same amount of the same kind of marijuana (some strains have more THC than others) at the same times on the same days, but that could get very complicated for the researchers. Participants might enjoy it, though! Finally, there’s no comparative data showing how the effects of smoking marijuana on the brain might stack up against the effects of consuming other substances or engaging in other behaviors. From the present data alone, we have no way to conclude whether casual marijuana smoking changes the brain more or less than cigarette smoking, drinking alcohol, eating chocolate, drinking coffee, learning German, etc. There are other studies looking at the relative risks of several drugs, including this awesome study in the Lancet from 2007, but I couldn’t find anything specifically looking at the same kinds of brain changes that were discussed in the present study. Collecting all of that neuroimaging data would be incredibly expensive, but it would be a very important piece in the puzzle of understanding how drugs can change our lives, and would put the present results in context. In spite of the study’s shortcomings, the results here shouldn’t be ignored: the brains of marijuana smokers were consistently different than the brains of non-smokers, and those differences were found in areas that are important for habits and addictions. I don’t think the results of this study suggest that marijuana is more or less dangerous than any of the more widely legalized recreational drugs, like tobacco and alcohol and caffeine; I don’t think that the researchers even set out to make that point. Rather, I think that this study is a great example of the power of converging evidence, which is when researchers consistently find the same patterns using different approaches. It is also another data point suggesting that the things we put in our bodies can change our brains – sometimes for good, and sometimes for not so good – so we should always consider the available evidence before deciding what we consume. Marijuana can affect more than your physical health. Studies show of heavy marijuana use will likely to cause brain abnormalities. Marijuana can also change the structure of sperm cells, deforming them. This drug can also make the user to have hallucinations and delusions, a loss of the sense of personality identity. It is never too late to turn your back on this drug, like any other substances; alcohol for instance, addiction to marijuana can be cure. Especially for those teenagers already addicted to this kind of drug. Drug recovery centers will be a great help to fight this addiction. Some recovery centers have a high chance of method on keeping the addict to use drug for good. Recovery will be a bumpy road, and many people fail to realize that this drug is indeed addictive, but by admitting to recovery centers those suffering from addiction to marijuana have a good chance of recovering.